The Kia Voice Recognition System may have difficulty understanding some accents or uncommon names. 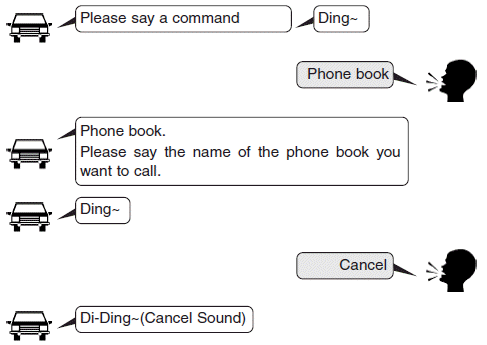 When using Voice Recognition to place a call, speak in a moderate tone, with clear pronunciation. Do not store single-name entries (e.g., “Bob”, “Mom”, etc.). Instead, always use full names (including first and last names) for these contacts. Do not use special characters (e.g., '@', '-', '*', '&', etc.). Do not use abbreviations (i.e., use "Lieutenant" instead of "Lt.") or acronyms (i.e., use "County Finance Department" instead of "C. F. D."; Be sure to say the name exactly as it is entered in the contacts list.